Pakistani and Indian troops traded gunfire in the disputed Himalayan region of Kashmir on Thursday, leaving three civilians and a soldier dead amid increasing tensions between the two nuclear-armed neighbors, officials from both sides said. In a statement, Pakistan's military accused Indian troops of initiating fire from across the border and targeting Pakistani villages along Kashmir, killing two civilians and wounding five others in the latest "unprovoked" cease-fire violation. Pakistan's foreign ministry later said the dead were women. 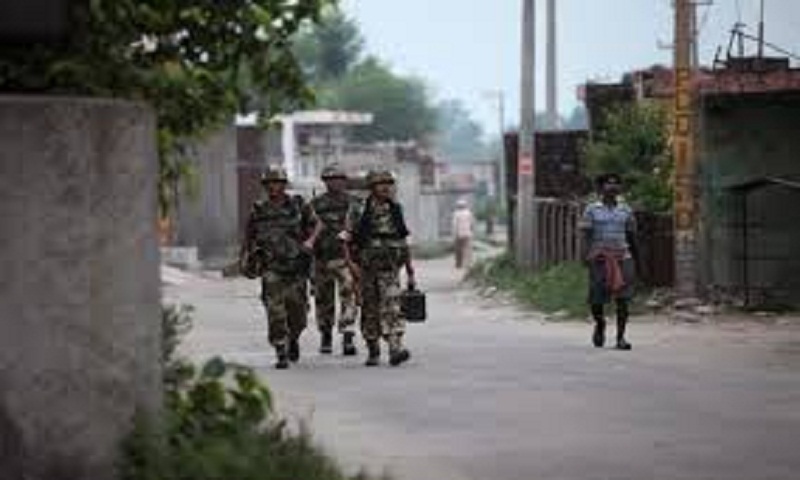 Indian police officer SD Singh said at least six Indian civilians and a soldier were also wounded by Pakistani fire and that Indian paramilitary soldiers were "retaliating." He said Pakistani soldiers fired mortars and automatic gunfire at at least 15 posts in the Jammu region. In Islamabad, Pakistan's military in a statement said three women were included among the five villagers wounded by Indian fire. It said Pakistani troops "effectively responded" to the Indian fire near Sialkot, which lies in Pakistan's eastern Punjab province but shares a frontier with Kashmir. Pakistani news channels showed damaged homes in villages on the Pakistani side of the frontier. India and Pakistan often accuse each other of violating a 2003 cease-fire agreement. Pakistan's foreign ministry this week said Indian forces carried out more than 100 ceasefire violations in Kashmir in January. It said the "unprecedented escalation in ceasefire violations" by India forces was continuing since 2017 when the Indian forces committed more than 1900 ceasefire violations and deliberately targeted civilian population. Pakistan's Foreign Ministry on Thursday summoned an Indian diplomat and lodged a protest over the latest alleged cease-fire violation. In a statement, spokesman Mohammad Faisal said the violations have continued despite calls for restraint. "The deliberate targeting of civilian populated areas is indeed deplorable and contrary to human dignity, international human rights and humanitarian laws. The ceasefire violations by India are a threat to regional peace and security and may lead to a strategic miscalculation," he said. India and Pakistan have a long history of bitter relations over Kashmir, a Himalayan territory divided between them and claimed by both in its entirety. The latest exchange of fire comes days after Islamabad accused Indian forces of killing four Pakistani soldiers in Kashmir, where rebel groups demand that Kashmir be united either under Pakistani rule or as an independent country.